Michael Allen Brady is a Principal Scientist at CIFOR and leads the Value Chains, Finance and Investment (VFI) team. Based at Bogor, Indonesia, Dr. Brady manages VFI programs in Asia, Africa and Latin America in i) achieving sustainable value chains and commodity supply in forest landscapes, ii) developing business models that deliver improved social and environmental outcomes, and iii) promoting responsible finance that contribute to advancing sustainable land and resource uses. Prior to joining CIFOR he was a Senior Forestry Officer at the International Finance Corporation (IFC), the private sector arm of the World Bank Group. There, he managed forestry and wood product advisory and investment projects throughout Asia and Africa. 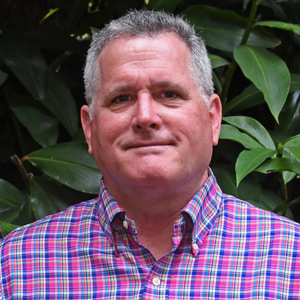 Dr. Brady has worked for over 30 years in Indonesia, and throughout East Asia and sub-Saharan Africa on forestry research, policy and management; forestry investment and finance; forest ecosystem dynamics and restoration; and sustainability standards and certification systems. He has held various private, public and academic positions in sectors including forestry, pulp and paper, oil and gas, and mining. He has a BSc in biology, a MSc in forest management and a PhD in tropical peat forest science.